Three hundred Muslim worshipers have left Cameroon from the Garoua International Airport aboard a Boeing 767 to Saudi Arabia. Traveling arrangements were supervised by the Governor of the North Region, Jean Abate Edi’i. The pilgrims who departed on Wednesday the 24th of August 2016 will benefit from a more suitable condition put in place by the Cameroon government with the help of Saudi Arabia. Governor Jean Abate reminded the pilgrims of the necessity to respect the instructions they are given by the supervisors, to respect the routes and exits schedules that will be given by the Saudi authorities. 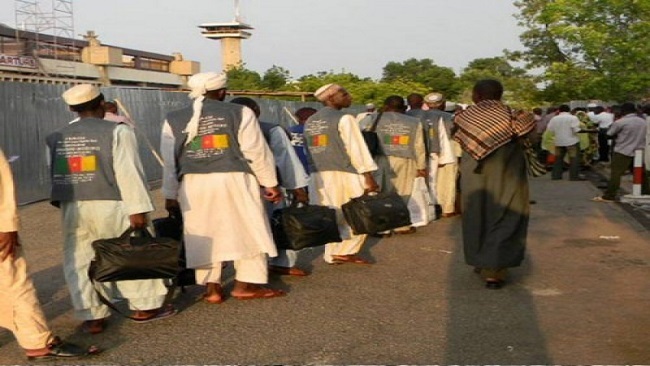 Cameroon Intelligence Report was informed that 2400 pilgrims from the Far North, North and Adamawa will visit the holy places of Islam in Saudi Arabia from the Garoua International Airport. Departures take place exclusively from Douala and Garoua. The cost of the pilgrimage for this year is 2,000,000 FCFA, 94 000 less compared to the previous edition that ended in fiasco.